We might see drawing as a bit of fun, but the contribution to learning is more than we might think. We love our kids’ first drawings. They draw before they write, so their drawings seem somehow miraculous in those early years – their first communication that is permanent and there for all to see. Preschool is all about drawing and painting. Large canvasses of abstract finger paintings give way to recognisable broad stroke figures, houses, and sunny skies. We celebrate every image and give them pride of place on the fridge door. Once school starts, nobody really takes drawing seriously anymore. In the classroom, drawings begin to take second place to writing. Young children quickly learn that success at school is measured by how well you can read and write, not by how good your drawings are. Their drawings are now just decorations that they get to do if they finish their writing. 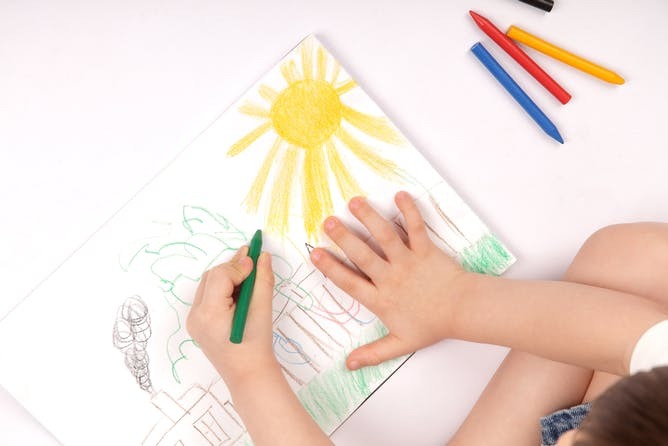 Children who draw before they tackle writing tasks produce better writing - it’s longer, more syntactically sophisticated and has a greater variety of vocabulary. It is likely this is because the act of drawing concentrates the mind on the topic at hand, and provides an avenue for rehearsal before writing - rather like a first draft where they can sort things out before having to commit words to a page. If you have ever read a 10 year old’s long and winding story you will know how much a first draft would enhance comprehensibility. And if you’ve ever taught 10 year olds you will also know they are not terribly inclined to do multiple written drafts. They’d rather sum up all their story’s inconsistencies with ‘It was all a dream’ than follow a teacher’s suggestion to go back and make significant changes. As a first draft, drawings are much easier to erase, to add to, and to rearrange. They provide a common reference point for the teacher and the child to discuss the story before it is written, and this is an important additional oral rehearsal that strengthens the quality of the writing. Ideas are clarified and vocabulary strengthened. Also read: Is this remarkable 10-year-old refugee Picasso's successor? Drawings are not the sole province of the ’talented’. Of course there are children with a natural talent for drawing, but they shouldn’t be the only ones who enjoy drawing, any more than we think only the naturally talented writers should write. Everybody should have the opportunity to use drawing as a means of expression and communication - just as everyone should learn to write. And for those children with a drawing talent, closing down drawing in the classroom can feel to them like just another brick in the wall. Drawing is a teachable skill, just as writing is. Most of us have a romantic notion of drawing - we see someone who produces life-like images and sigh, knowing we could never do that. Indeed there does come an age, usually around 8 or 9 years, when we begin to see our drawings as others do, and most of us are usually disappointed with what we see - and give up on drawing. But actually, with tuition and encouragement, all of us can learn to draw pretty well, and more importantly, feel the pleasure that comes with this kind of expression. To promote a classroom where drawing is valued, get rid of colouring in stencils. Let kids freehand draw and paint, and don’t be afraid to teach some drawing skills so they can get what is in their mind’s eye down on paper. You won’t be stifling their creativity, you will be ensuring they never lose it. Also read: Right, left or mixed-handed? We understand things more deeply when we see them from multiple perspectives. Drawing what you have understood from a reading passage, drawing the science experiment you have just done or drawing the detail of an autumn leaf are all examples of engaging with the same learning from a different angle. For most children, this helps consolidate the learning but for some children it can be the key they have been waiting for to open the door to the learning. The confidence and self belief this gives them can change their attitude and engagement with other aspects of schooling. If our only measure of success at school is performance in standardised literacy and numeracy tests, schools will be tempted to narrow their curriculum and to sideline the Arts. Misty Adoniou, Senior Lecturer in Language, Literacy and TESL, University of Canberra. This article was originally published on The Conversation. Read the original article. 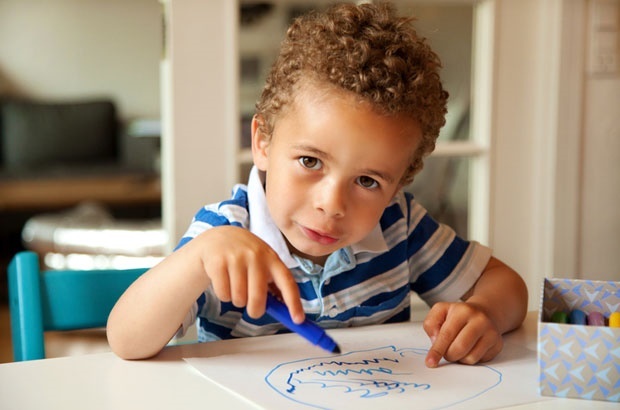 Did you find that drawing did in fact help your child develop other skills growing up? Tell us by emailing to chatback@parent24.com and we may publish your comments.